after a well deserved christmas break, it is time to do some sport again. 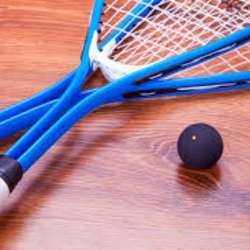 Do you want to play squash but you have no experience? Then come to our beginners session next week. We booked a court and will show you the ropes of the game. The court costs for one an a half hours around 27€/h. The costs will be split between all our attendees. Looking forward to see you on the court. if you are interested in attending, please send me (Pablo) an SMS and I will let you know the location.